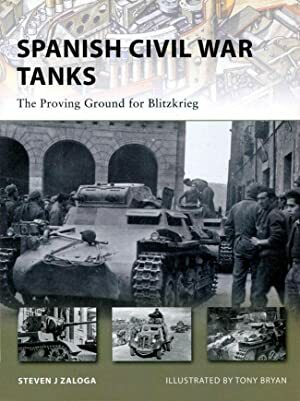 How about a campaign dedicated to the war that set the scene for WW2, the Spanish Civil War. While I'm thinking of building a tank, how about opening it up to anything that crawls on tracks, rolls on roads or railroads, swims in the water or flies through the air? Models from could be from any combatant in any scale but must have the markings used in the Spanish Civil War rather than those that might have been used earlier or later. This would be for models built for this campaign with initial pictures showing the unstarted kit and the newspaper/mobile phone or other proof of date. Starting this Fall and ending next Spring? The model would need to be built and painted before the gong to get the ribbon. For that ribbon, howbout the Spanish flag with SCW superimposed on it? Would anyone be interested in joining such a campaign? Spanish Civil War is a campaign dedicated to that precurser of WW2, the Spanish Civil War. All modeling subjects would be included which includes anything that crawls on tracks, rolls on roads or railroads, swims in the water or flies through the air. Figures & dioramas are welcomed. Models from could be from any combatant in any scale but must have the markings used during the Spanish Civil War rather than those that might have been used earlier or later. I'm interested. I don't have anything in my stash that would fit but it gives me an excuse to go shopping! Great, that's two of us. I think it would be a great campaign. Great! There are four of us now so we still need a few more builders to sign up. I'm pretty sure we'll get the required number but it may take a while as it will be a subject that requires a bit more study to pull off than a mainstream WW2 campaign. I will probably do some kind of armor but I would love to attempt a Spanish ship. There were several naval battles that don't get much press. I haven't been able to find any Spanish ships for the SCW period in any scale. If anyone has recommendations I will consider them. Will join with something. Probably nothing from the era yet in stash. Great Pasi, this campaign promises to feature more unusual and challenging builds than most do. It should be rewarding. Beevor starts with the origins of the war which I find the most interesting part. The SCW has been romanticized in books & movies ever since it started and Beevor gives a wide eyed narrative that strips the idealized romance from the facts. There are plenty of maps with arrows to help us follow along too. I recommend this book to all who are interested. Reading about the period and events will help set the context for our models. I'm down for this one, Paul. Hopefully I can finish in time! A favorite topic of mine, being a student of Orwell. for inspiration, if interested in this topic and in joining this campaign.. Thank you for posting that link Johnathan, that's a great site! I'll join in. 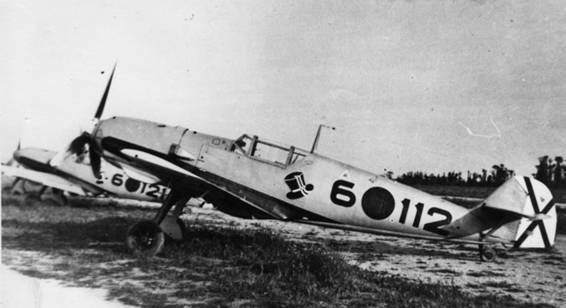 I was thinking of doing an early BF-109 anyway. I see what I can find in Condor Legion markings. You should be able to make any of the Churruca-class destroyers by doing a conversion/kitbash of the E-class destroyer and HMAS Vampire in 1/700 scale from Tamiya. The battleships Jaime I and Espana are available in resin from Combrig in the same scale. The cruisers Canarias and Baleares are available from HP-Models, also in 1/700. Of these options the Churruca project is undoubtably the cheapest alternative. I knew about the Combrig kits but they are out of my price range. As luck would have it a have a Tamiya kit of the Vampire in my stash so I will definitely look at the destroyer option. I'd be up for this one. I have the Hobby Boss Schneider CA in the stash, which is itching to be sporting "UGT", or maybe "JSU" or maybe "UHP". I've spent the afternoon and evening on the internet looking for information, drawings and photos of the Spanish Churruca class destroyers. I've found a lot of service history but little in the way of drawings or top down photos of the ships. While doing this research another idea came up on using the HMS Vampire kit that I want to run by Paul. Would the international ships who participated and were sometimes involved in combat in the non-intervention patrol be included in this campaign? There were several V-class destroyers in the Royal Navy's 3rd Destroyer Flotilla that patrolled the western Mediterranean and the east coast of Spain and the Gibraltar Straits. Just an idea. I don't think I'm up to the kit-bash that Tony mentioned in his post. Sure, I think this an important part of the story. I think I'll build the Henschel because of its interesting camouflage. I'll jump on board. Not sure what to build yet. Here are some side and top drawing of a couple of Churruca class destroyers. There are a number of differences between the two series and the armament of each ship differed through the war, i have info for all of them for 1936, 37 and 39. In the kit of the Vampire you do get four guns that are more or less the same as the ones used by the spanish (who also used Vickers guns), the torpedotubes are also the same as used by most of the Churrucas. All Churrucas also reduced the number of main guns from five to four during the war so what you get with Vampire should suffice for a mid-war ship.